Declined credit card payments can be frustrating for any business, but for online merchants, it can mean the difference between conversion and lost money. Customer retention is a key goal for any merchant, and it may be difficult to establish if customer credit card information is declined. Businesses that operate high risk merchant accounts and require subscriptions may find declined payments particularly troublesome, as data from Mastercard shows businesses that rely on recurring payments suffer decline rates between 20 and 30 percent. 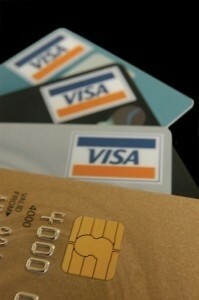 Several factors could trigger a credit card's decline. Outdated cardholder information – Much of the time, customers who have signed up for a subscription service may have failed to update their credit card information over time. Perhaps their card expired, or their address changed. Regardless, this can be frustrating for merchants who rely on updated information to process continuity billing. System errors – The fault may also lie with merchants' payment processing system. It may have produced errors related to processing or formatting authorization errors. This type of situation can confuse consumers, who may think something is wrong with their credit card account. Issues with the credit card account – Certain problems with the card account may also cause a decline. It could be as simple as a case of insufficient funds or as complex as fraud or a stolen card. Merchants may think declined transactions are a reality of doing business online, but they can find workarounds. The best payment processors can reduce the number of transactions that fail to authorize through tools that complement existing decline recycling procedures. Merchants should look to work with card-not-present system providers that have high rates of recovery and experience in advising clients on how best to reclaim lost funds.